What about a route through one of the most charming areas of Galicia? 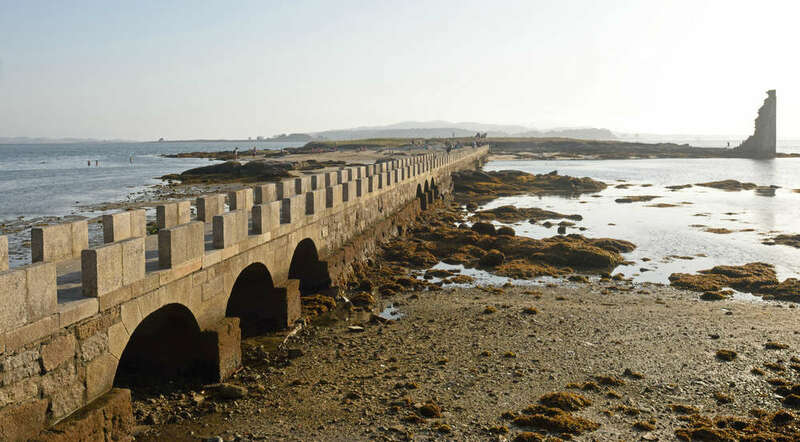 Cambados has the privilege of having one of the best preserved historical sites in Galicia, and they are very proud of it. If you feel like booking the first flight here after reading this post, DON’T worry, contact us and we’ll take care of everything. We will tailor made your trip based on your needs, likes and requests and you’ll only have to come and enjoy an all inclusive holiday. 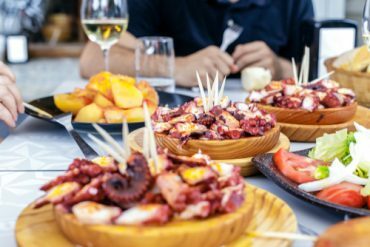 Cambados, located in the province of Pontevedra, right in the middle of the Rías Baixas and more specifically in the Ría de Arousa, offers all visitors a wide variety of historical and cultural visits and the best traditional cuisine in the area. And definitely you can not leave without enjoying a glass of Albariño! Let’s start! The square of Feifiñáns was the old market square and the neuralgic center of the city. Originally it was a private estate until it became the public market and the most crowded area of the town. If visiting Cambados, walking in the seafront is a must. You’ll discover the most industrial part and the marina. 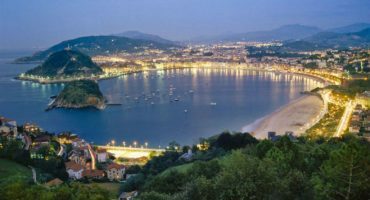 Walking around you will appreciate the architecture of the area, its bars, its terraces ... and at the end of the promenade you will find an islet where the Tower of San Sadurniño stands, offering amazing views. This small corner of Cambados, the ruins of the church of Santa Mariña Dozo, will delight you. This Gothic church was built on a Romanesque chapel. The bell tower and the four arches are awesome. You will feel like if you were in a period movie. This festival has been held on the first week of august since 1953. The local white wine, the Albariño, is the star. 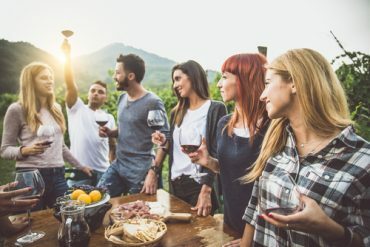 If you come to enjoy this festival, you will discover the best vintage wines, as well as lectures, concerts and will get to know firsthand the popular verbena. 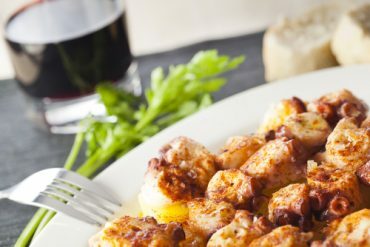 Gastronomy, as everywhere in Galicia, is exceptional. You can enjoy the traditional Galician cuisine while you feel the breeze of the sea. From zamburiñas (shellfish) to red peppers or boiled octopus... the variety of products is endless. And do not forget the Albariño wine, the perfect icing on the cake! 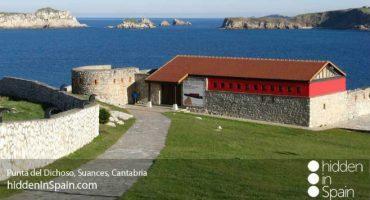 Feeling like getting a customized tour through Galicia and discovering the charm of this small charming village? If you don’t want to get in charge of anything, just want to relax and let the hard job for the expert, contact us at Hidden in Spain and we will tailor made your trip.